ONE day in September, 1852, when the ship that brought the late Carl Schurz to America was sail­ing up New York Harbor, Mr. Schurz chanced to notice some "charming dwell­ings" on the shore of Staten Island, then a favorite watering-place. He turned to a fellow passenger, a home coming American, and asked who were the own­ers of these pretty houses. 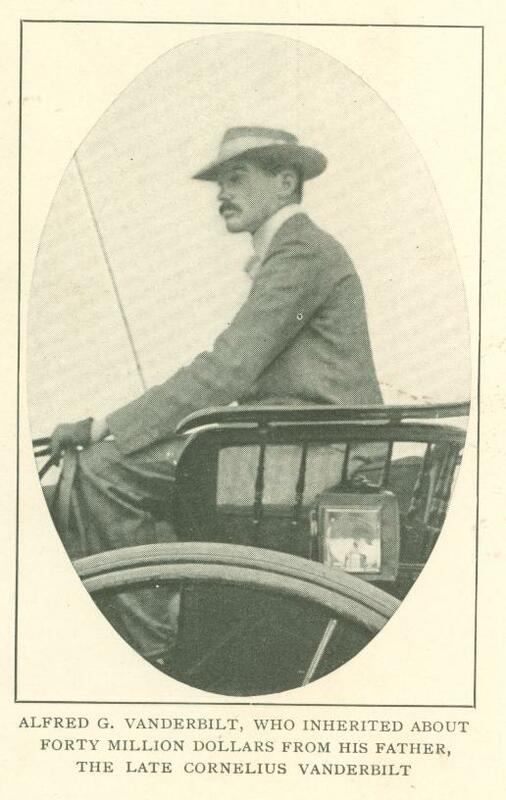 "Rich New Yorkers," was the laconic reply, as Mr. Schurz himself recorded it. "And how much must a man have to be called a 'rich' New Yorker?" Mr. Schurz inquired. "Well," was the answer, "a man who has something like a hundred and fifty or two hundred thousand dollars, or an assured income of ten or twelve thousand a year, would be considered wealthy. Of course there are men who have more than that - as much as a million or two, or even more." "Are there many such in New York? " "Oh, no, not many; perhaps a dozen." How many such are. there in New York today? Nobody can tell with ex­actness. I recently put the question to an active member of one of New York's most important banking and promoting houses. "Oh, five thousand," was his reply. "There are twenty-five hundred million­aires I could count up, and there must be twenty-five hundred more, many of whom are absolutely unknown to Wall Street." There are in New York a host of un­known millionaires who drift there from provincial homes. The unknown mil­lionaire is, in Mr. Howells's view, the op­portunity of some novelist of the future, a pathetic figure of modern metropolitan life, though the pathos is often unrecog­nized by himself. He goes through the motions of doing what the rich and fash­ionable do around him - keeps an estab­lishment, dines at expensive restaurants, attends the opera; but in reality he and his family live detached lives so far as social relationships are concerned. Even the reporter does not invade their lonely privacy. In 1852, the year in which Schurz came to America, Arthur Hugh Clough visited Cambridge, Massachusetts, and expressed his pleased surprise at finding there social standards which absolutely ignored both wealth and poverty. Cam­bridge society of that day, as Charles Eliot Norton describes it, was unmarked by "artificial distinctions," its households being "homes of thrift without parsi­mony, of hospitality without extravagance." And President Eliot adds his testimony that the tradition still per­sists. In 1907, says Dr. Eliot, the standard of living in Cambridge , "remains simple and moderate - substantial, if you please, but plain." There is not a rich man in Cambridge today "according to the standard of the time - not one. Plenty of people in comfortable circumstances, well-to-do, but not one rich man! 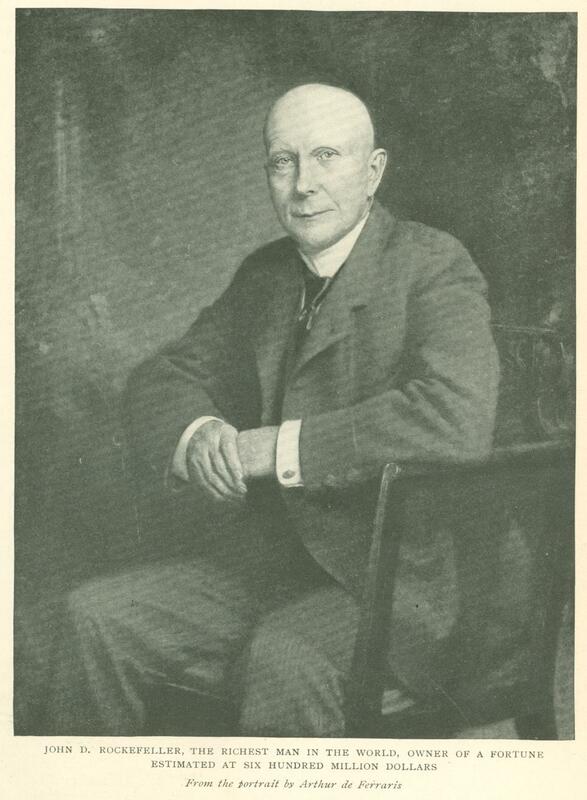 Yet in a financial publication I find Dr. Eliot's fellow townsman, Alexander Agassiz, a distinguished scientist and son of Harvard, listed as the third largest stockholder of the Calumet and Hecla Mining Company, having five thousand shares, worth by a recent quotation, one thousand dollars per share. In other words, Professor Agassiz's copper invest­ment alone has, or recently had, a selling value of five million dollars. 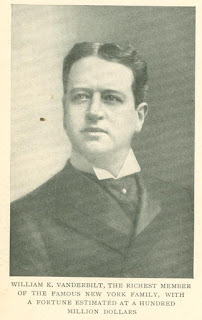 We have here either a remarkable instance of for­getfulness on President Eliot's part, or an even more remarkable estimate of what, in his opinion, does not constitute wealth at Cambridge in 1901. Illustrations of the sort might be mul­tiplied indefinitely. The United States abounds in millionaires whose wealth, as in Professor Agassiz's case, is not their distinction, is not the first thing one involuntarily associates with them on hear­ing their names. A well-known example is the late Governor Higgins of New York, whose estate is reported as about three million dollars. Yet Mr. Higgins was never charged, so far as I am aware, with "buying his way" to political preferment. This general indifference to wealth in itself, strange as it may seem in a land that is supposed to worship the almighty dollar, finds expression in the popular vernacular. We talk about the "local millionaire," as in England they speak of the village squire; or about the "vul­gar millionaire," a more recent and picturesque phrase being the "wallower in wealth"; or, most significant of all, about the "mere millionaire," meaning either a person who is a millionaire and nothing else, or a person who is only a millionaire when he might have been far richer, perhaps a multimillionaire. "M r. Rockefeller is not a speculator, but an investor. For years he has been placing his income in gilt-edged securi­ties. The space he maintains with safety deposit companies is said to be larger than that of any individual in the world." It takes only a little sober observation and quiet reflection to find convincing answer to much loose talk about " pop­ular hatred of wealth and millionaires." In point of fact; people do not know how many "hated" millionaires there are, or who they are. It is not the size of in­dividual fortunes which has aroused whatever criticisms there may be of the possibilities of accumulation under mod­ern conditions, but the unfair appropria­tion of other people's accumulations, as in insurance companies or railroads. It is the suspect financier, disregarding the obliga­tions of a trustee in his control of the savings of the many, not the possessor of wealth, however large, legitimately acquired, who arouses that supposed pop­ular antagonism to the millionaire of which so much is made in certain quarters. The many ingenious and extravagant estimates of individual wealth and its power have proved confusing to the popular mind, because of failure to dis­tinguish clearly between ownership and control. Among the best trained econo­mists, even the most independent of the younger men - as Professor Irving Fisher, of Yale - there is a marked disposition to fight shy of such estimates. The latest is that of Henry Laurens Call, whose contention in his paper on "The Con­centration of Wealth," read before the American Association for the Advancement of Science, is that one percent of the population of the United States "now own practically" ninety per cent of the entire wealth of the country. The population of the United States is estimated at eighty-four millions and its wealth at $115,000,000,000. There­fore, according to Mr. Call's estimate, eight hundred and forty thousand persons "now own practically" $103,500,00,­000, leaving to the rest of the population, more than eighty-three millions in num­ber, only $11,500,000,000, or the remain­ing ten per cent of the total wealth. This at its worst, taking practical ownership to mean actual ownership, only gives the eight hundred and forty thousand property holders $123,200 on the aver­age. In other words, there are in the United States eight hundred and forty thousand persons worth an average of $123,200 apiece - not a startling contention, certainly. But this is not exactly what Mr. Call means, as his "practical ownership" stands rather for control than for owner­ship. For example, about a fifth of the wealth of the country, or in round numbers $25,000,000,000, is represented by industrial corporations, such as rail­roads and manufacturing concerns, while about a seventh, or $15,000,000,000, is represented by financial corporations, such as banking and insurance companies. Now, a large part of the ownership of the $40,000,000,000 thus invested is scattered among thousands upon thousands of people of all degrees of financial condition, from riches to poverty. Obviously, then, it is not Mr. Call's concentration of own­ership in such forms of wealth that con­stitutes a possible menace to society, but concentration of control. The distinction came out clearly in a concrete case when E. H. Harriman was recently examined by the Interstate Com­merce Commission. 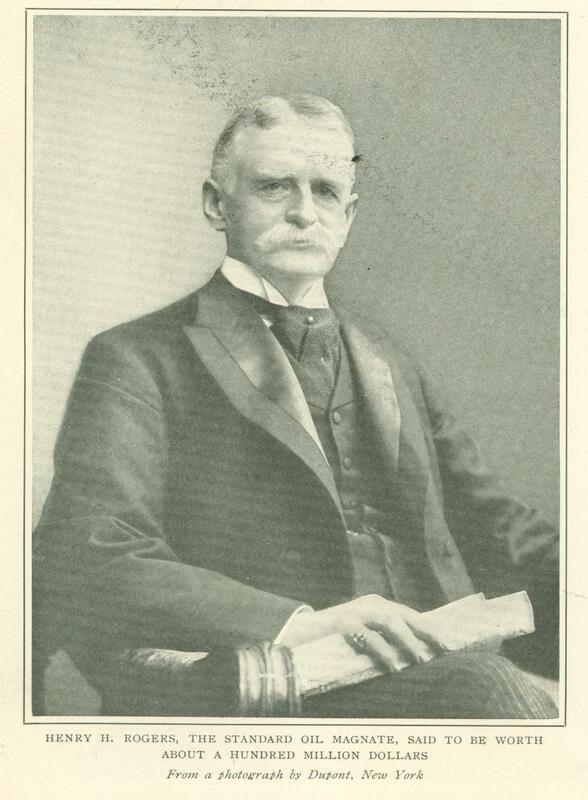 There was general public interest in the question which Mr. Harriman refused to answer - on the ground that they invaded his private af­fairs - in regard to his profits from the reorganization of the Chicago and Alton Railroad. This interest was not due to any special curiosity to "get a line" on the size of Mr. Harriman's fortune. It was rather due to a desire for information as to the effect that such a reorganiza­tion might have on the investment of mi­nority stockholders, or on the profits of purchasers of new security issues under such reorganization, or on the cost to(the public under the little understood relation of capitalization to rates. When during the same examination of Mr. Harriman it came out that within six months of 1906 the Union Pacific had bought more than a hundred million dollars worth of outside railroad shares, public interest again was not concerned with the personal side of these colossal transactions, so far as they affected the growth of individual fortunes, but so far as they affected, through an almost one ­man control, the other parties in interest - broadly, the rest of us. In short, it is not the man of millions, but the man in control of millions, largely the millions of other people, who chal­lenges aggressive public criticism. Such a man, like the late John A. McCall, may be the head of a great insurance company, and yet die a poor man. 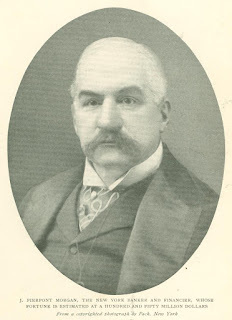 The most powerful man in New England to­day is probably President Mellen, of the New York, New Haven, and Hartford Railroad, and yet he is generally credited with the possession of no more than a modest personal fortune. In order to recognize the millionaire of actual life it is worth while to be at some pains to clear one's mind of the caricaturist's millionaire, a picture itself as yellow as the dollar-marks with which it is bespattered. The real millionaire is apt to average up very much as does the non-millionaire. A cynical poet said of Nero: But then, He had his faults like other men. So, too, the millionaire of today may have his virtues. Oftener than not he is a decent fellow, a fair family man, a good citizen, a square business man, perhaps public-spirited and generous in proportion to his means, it may be even a philanthropist. On the other hand, of course, he may be a skinflint and a financial cutthroat. HOW MANY MILLIONAIRES HAVE WE? How many actual millionaires are there among the eighty-four million people of the United States? The well ­informed financier quoted at the beginning of this article put the total in New York at five thousand. A large propor­tion of these only do business in New York, while they live and are taxed somewhere else, perhaps in Connecticut, New Jersey, or Rhode Island. Again, residence in New York, even if such millionaires have a technical residence there, is often merely nominal. An allowance for the millionaires who are only incidental New Yorkers must appre­ciably reduce the number of resident millionaires, as the phrase would be applied in a provincial city. On the other hand, to anyone strolling up Fifth Avenue or Riverside Drive on a fine afternoon, and noting the costly houses and the well appointed equipages, the estimate of five thousand millionaires as representing all this show and lavishness seems probably too small. Of course this leaves out of account the numberless men whose capital is in their brains, the interest on which is a millionaire's income, though they do not own a millionaire's safety-deposit box filled with securities. There are count­ less professional men in New York - ­lawyers, doctors, and engineers - and men at the head of financial, manufac­turing, and mercantile enterprises, who while they live keep the pace of the richest, but when they die, to everybody's surprise, leave comparatively insignificant estates. Again, we must remember that many business men are heavy borrowers. Their apparent assets are known and read of all men; but their liabilities­ that is a different story. A recent note­worthy case was that of the late Mont­gomery Sears, often described as "Boston's heaviest taxpayer. 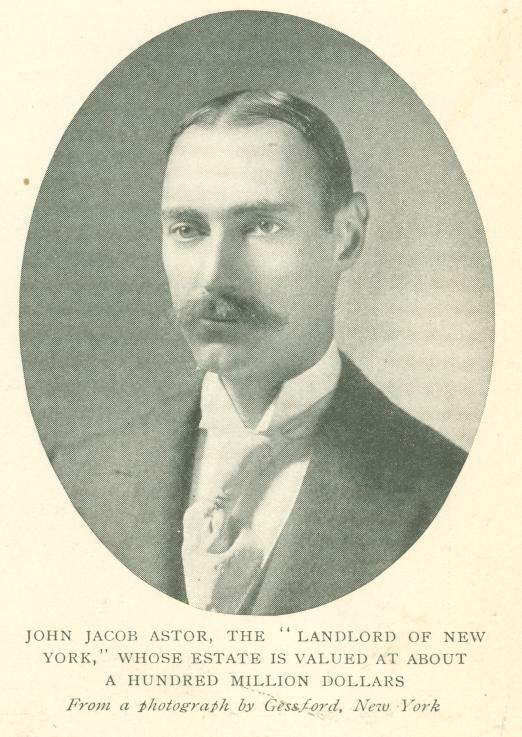 "Mr. Sears's fortune, before his death, was generally rated at twenty million dollars, or more. The latest estimate, coming from the probate court, is that the estate is under four millions. How is one to make even a guess at the total number of millionaires? I have at hand some rather significant statistics, secured for a business purpose, covering the annual incomes of the families in the United States. There are in this esti­mate 2,694,000 families, or seventeen per cent of the whole number, enjoying incomes between twelve hundred and three thousand dollars a year; and 583,000 families, or three and a half per cent of the whole number, with incomes between three thousand and six thousand dollars. Continuing up the scale, we find it stated that 811,000 families, or five percent of the whole number, have incomes above six thousand dollars. Compare with this Mr. Call's estimate that 840,000 persons "practically own" ninety per cent of the country's wealth, with $123,200 each, representing an income of a little more than six thousand dollars at five per cent. It will be seen that. these two independent estimates of the distribution of wealth work out to a surprising closeness. The table from which I am quoting gives forty-two thousand families with annual incomes above fifteen thousand dollars. This, of course, gives us no basis for a precise calculation of the number of millionaires. As the most secure investments - outside of certain government bonds on which, for special reasons, the interest is abnormally low ­yield a yearly return of at least three per cent, a millionaire should have an annual income of at least thirty thousand dollars. On the other hand, there are people who earn thirty thousand dollars a year, or more, but whose financial status is far too insecure for us to class them as millionaires. On the whole, however, and though only a rough guess is possible, the estimate of forty-two thousand families with incomes of fifteen thousand dollars or upward may be taken as indicating from fifteen thousand to twenty thousand as the total number of millionaires. Such an estimate compares interest­ingly with fourteen thousand, the approximate total in 1902, according to a careful computation made in that year by the New York World. There has of course been a considerable increase during the five years. In Connecticut, with whose financial conditions I chance to be familiar, competent judges put the State's total of millionaires at from a hundred and twenty-five to a hundred. and fifty today, as against seventy-five to a hundred in 1902. This gives a fifty-percent rate of increase, or better. In Connecticut capital enjoys the ad­vantage of being largely invested in active enterprises with an exceptional rate of growth. If, allowing for this, the country at large in five years has gained thirty per cent in the number of its millionaires, it has today more than eighteen thousand as against fourteen thousand in 1902. All speculation on this subject must recognize not only the constant shifting of the distribution of wealth as a whole, but similar uncertainties in the case of individual millionaires. When one is dealing with statistics in the large, it can be assumed that these uncertainties may to a great extent be balanced against one another. But when it comes to the individual, we all know that actively invested capital is constantly menaced by chance of loss, however unconvincing may be the paper losses and gains of Wall Street, by which millions are made today and wiped out tomorrow. The number of the wealthy whose money is invested in inactive and secure form, as government bonds, is comparatively small, almost negligible. Hence it is the elusive nature of wealth, the danger that it may slip away while the possessor's back is turned - for instance, when the owner of a railroad finds himself "held up" by a secretly secured right to parallel it, as happened to the late Wil­liam H. Vanderbilt - which gives to the possession of millions the fascination of mystery. Or the chance may be the other way. One happy happening has first suggested possibilities that have opened many a road to fortune. A drummer persuaded a country customer in a Michigan town that by ordering a lot of cheap, attractive articles, mixing them with goods on his hands unsold, and advertising a special bargain-counter sale, he could work off his all but discarded stock at a profit. That idea finally developed into the chain of five-cent and ten-cent stores that has made a millionaire of F. W. Woolworth. More than half a century ago, an immigrant German lad, coming from a district where knowledge of forest craft is an inheritance, took with him to the lumber region of Wisconsin an under­standing of its possibilities for exploita­tion. He began modest purchases of timber land, which he has since extended through associates, partners, and allied corporations. That policy has placed millions of acres in Wisconsin, Minne­sota, the Mississippi Valley, Oregon, and Washington, under the control of Fred­erick Weyerhaeuser, the "lumber king" of St. Paul, whose wealth, it is claimed, rivals that of Rockefeller, unfamiliar as is his name in the East. A young man who, in the early sixties, became active through inheritance in a minor manufacturing industry in a small Ohio town, was obsessed with the idea that any industry, however small, might be made immensely profitable, given labor-saving machinery that no competi­tor could duplicate. Dogged persistence in applying that idea made O. C. Barber, the "match king," head of the Diamond Match Company. At about the same time a New Eng­land doctor decided to abandon his home and profession. With savings of five thousand dollars in his pocket, he settled in Chicago to take up the business of selling large tracts .of land to farmers, and "to make a fortune," as he told his incredulous neighbors. In ten years Dr. D. K. Pearsons, now famous as a bene­factor of small colleges, was worth his million by dint of a capacity for incon­ceivable detail, his system being to insure each transaction personally, and thus to win the confidence of land-owner and land-buyer alike. These instances, chosen at random, illustrate what to the observing has long been obvious, that there is no formula for making a millionaire. Of the eigh­teen thousand millionaires in the United States today - if that be their number­ outside of the comparatively few who have "held on " to an inherited fortune in gilt-edged securities or land, each has for himself caught "the skirts of happy chance" at the psychological mo­ment, often more by inspiration than by foresight. Beginnings to a like ending may be as contrasted as the circumstances of birth. Of the two most commanding figures today in the world of railroad control, J. J. Hill began in a Northwestern steamboat office and E. H. Harriman in a New York broker's office. Hence, though millionaires may be roughly classified as manufacturers, merchants, railroad magnates, financiers, and so on, such classification is vitally defective, because it ignores the degree to which the genius of an individual millionaire is administrative more than financial, or mercantile more than either. The casual observer sees one side of a millionaire and labels him by that. To the public, for instance, the late Marshall Field was the Wanamaker of Chicago. To financiers, he was the wise counselor and able administrator, being director at his death in corporations whose capital totaled five billions of dollars. To himself and his close asso­ciates, he was also a far-seeing investor in land, as he was carrying at his death an investment of more than five million dollars in Chicago real estate, of which nearly half was unproductive, being bought for the future. It is this quality of secretiveness in the art of investment which enables so many a modest millionaire to go his way to death unrecognized, like that canny leather-merchant, Daniel R. Fayer­weather, of New York, who left five million dollars for education, to the astonishment of his old business asso­ciates in "the Swamp." For instances of a like unadvertised status of wealth, one does not have to wait for the probate court, for they are everywhere. 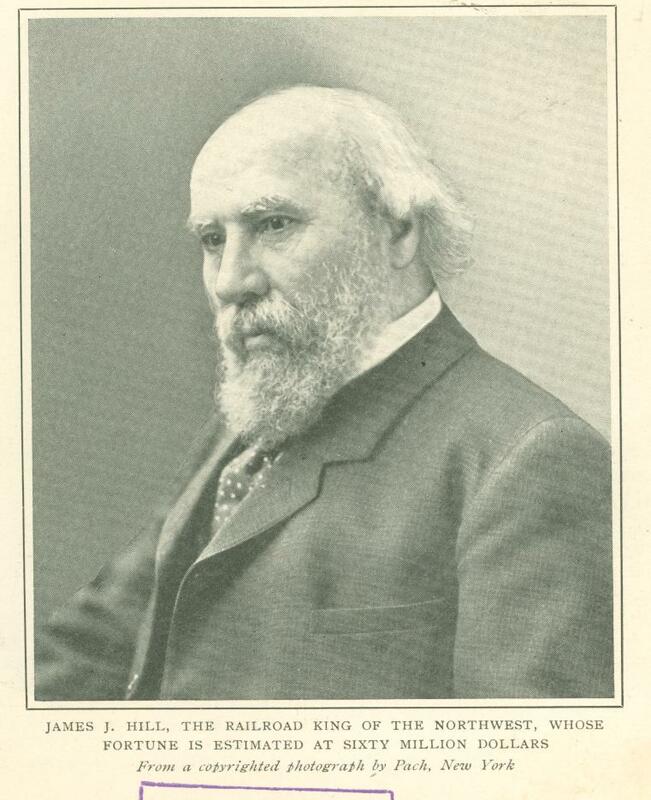 Few in Connecticut, outside its financial circles, if called upon to give the State's richest man, would be likely to name J. H. Whittemore, of Naugatuck, a dominating factor in the malleable iron business of the country. The United States Steel Corporation is famous as the biggest industrial in the world. Yet who, if called upon to give its actively control­ling millionaires, would name James Gayley, its first vice-president, whose colossal task it is to direct the shipping of forty million tons of raw material a year? It is here in the work of life, applying his brain - from self-interest, no doubt, like the rest of us - to the evolution and furtherance of farreaching enterprise, that we see the representative millionaire, the type known locally to so many com­munities. He it is, not the distorted image in the press, who should pass before us when we read the Autocrat's admonition, never more needed than today. Pause for a moment, for our eyes behold The plain, unsceptered king, the man of gold, The thrice-illustrious, threefold millionaire! Originally published in Munsey's Magazine. July 1907.